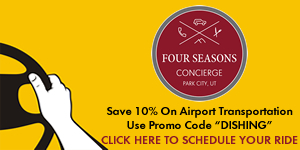 antibiotic amoxicillin Whether you’re living in — or just visiting — Park City, you likely have a fairly adventurous soul. Many of us spend our winter weekends enjoying outdoor activities, like skiing, snowboarding or snowshoeing, all of which pair perfectly with a delicious meal. 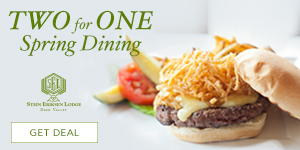 http://azithromycin-otc.com/ order azithromycin over the counter So why not combine your love of adventure and dining this winter? Thanks to these five awesome experiences, you can satisfy not only your outdoorsy spirit but also your adventurous appetite at the same time. 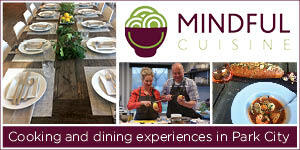 visit website Since launching in December, Savoury Kitchen’s weekend dinner series has been a huge success. In a rustic yurt high up in White Pine Canyon, chef Joseph Saladyga serves carefully crafted, New England-inspired cuisine for lunch from 11 a.m.-2:30 p.m. Thursday through Sunday, and family-style dinners starting at 6 p.m. on Fridays and Saturdays, which kick off with a cocktail hour. 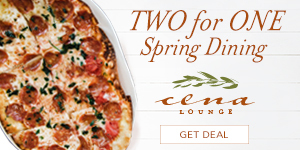 Be sure to call 435.608.1408 or check OpenTable to make a reservation before you go. 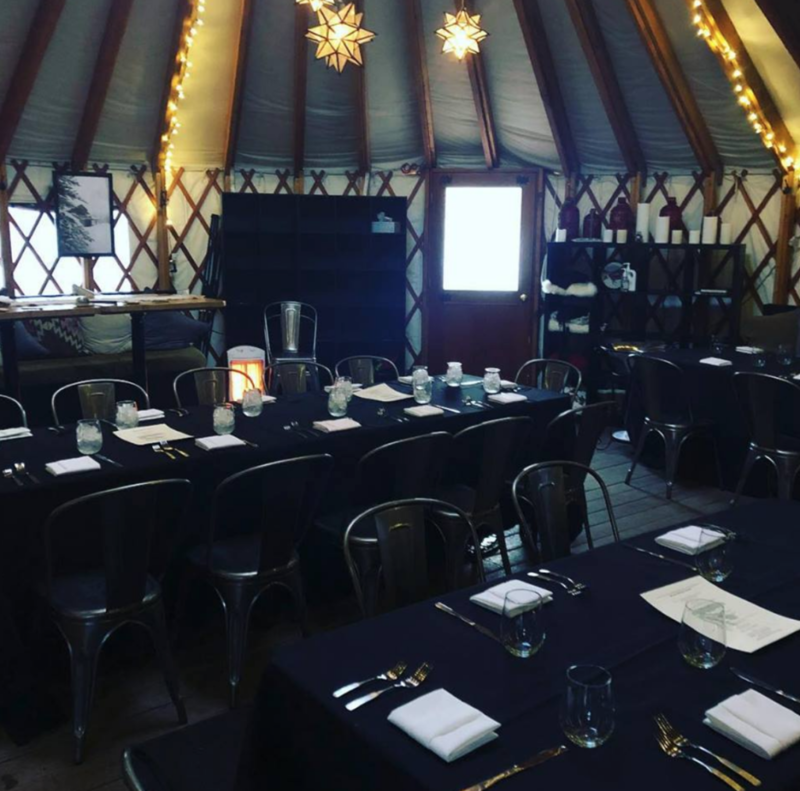 Many winter weekends are already booked for dinner, since the intimate yurt setting can only host 40 people. 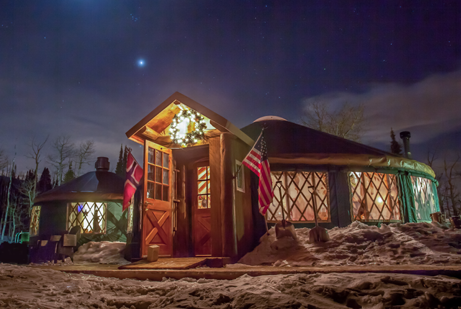 With only one seating of 40 people per night, the Viking Yurt offers a memorable and unique dining experience. Over the course of the four-hour evening, you’ll take a sleigh ride up 1,800 feet to a cozy yurt nestled high on the slopes, then enjoy a delicious Nordic-inspired dinner with incredible views of Park City. Check out their website for menu details and to book your reservation — the seatings and sleigh rides fill up fast! 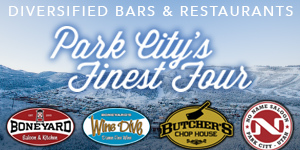 Another magical winter dining experience on the slopes of Park City Mountain can be found at Snowed Inn. 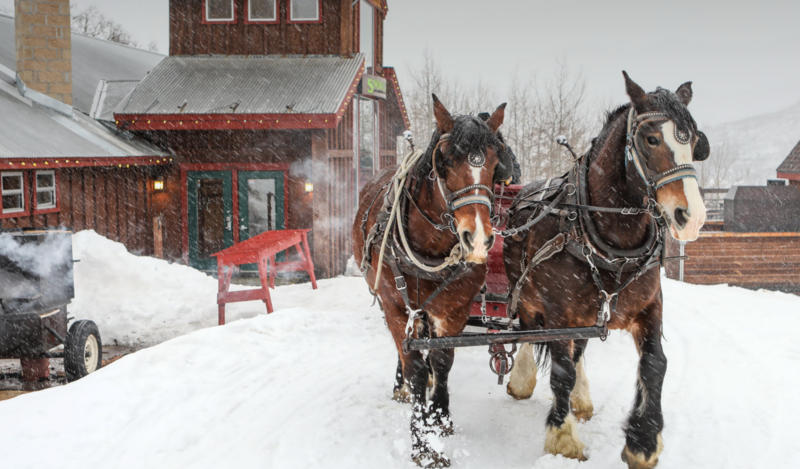 A horse-drawn sleigh will take you up the slopes of Park City’s snow-capped mountains to the Snowed Inn Lodge, where you’ll be welcomed by a roaring fire, live music and a western-inspired meal including dishes such as slow-roasted prime rib, Utah trout or roasted chicken. A more casual place to eat, Rime Raw Bar is a new ski-in, ski-out restaurant from the owners of Tupelo. Located on the top of the Jordanelle ski run in Deer Valley Resort, this gorgeous spot offers stunning views of the Jordanelle Reservoir and the Uinta Mountains. The food is top-notch too: from lobster rolls to tuna tartare, seafood just tastes better in this setting. Plus, on bluebird days, Rime will roll out a grill to offer even more varieties of food. 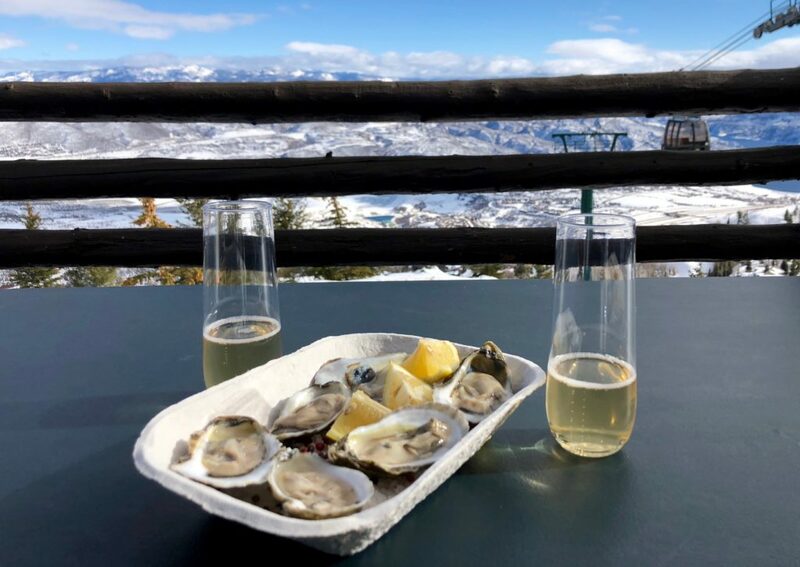 Another ski-in situation on the slopes of Deer Valley, this dining adventure is ideal for those of us who love the finer things in life. 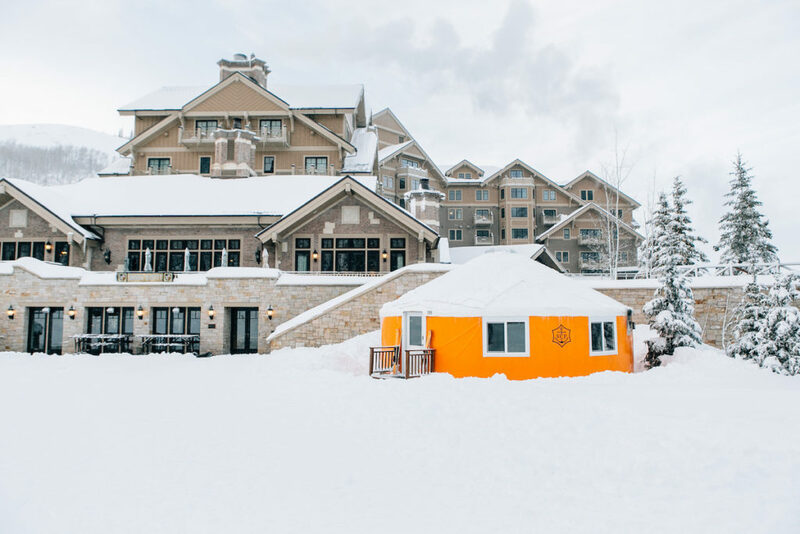 Open daily from noon-4 p.m., this stylish, luxurious yurt exclusively serves Veuve Clicquot champagne and cocktails, alongside light fare such as caviar, local cheeses and charcuterie, and white truffle popcorn.